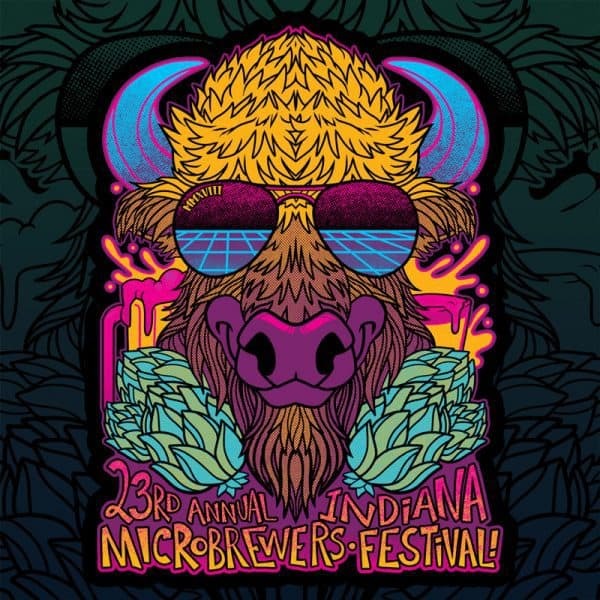 Drink beer and support Indiana brewers at the Brewers of Indiana Guild’s summer fundraiser, the 23rd Annual Indiana Microbrewers Festival on Saturday, July 28, 2018 at beautiful Historic Military Park at White River State Park in downtown Indy. $3 from every ticket sold will benefit the nonprofits Leukemia and Lymphoma Society of Indiana and Little Red Door Cancer Agency. Check out all the details and buy tickets here. Logo designed by Mallory Hodgkin.